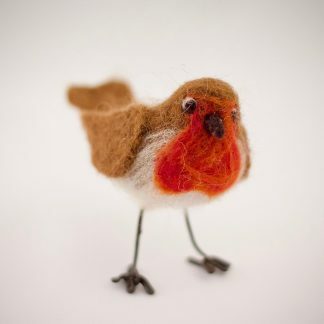 This original, nicely rounded, little chap stands at 8cm tall and measures 11.5cm from beak to tail. 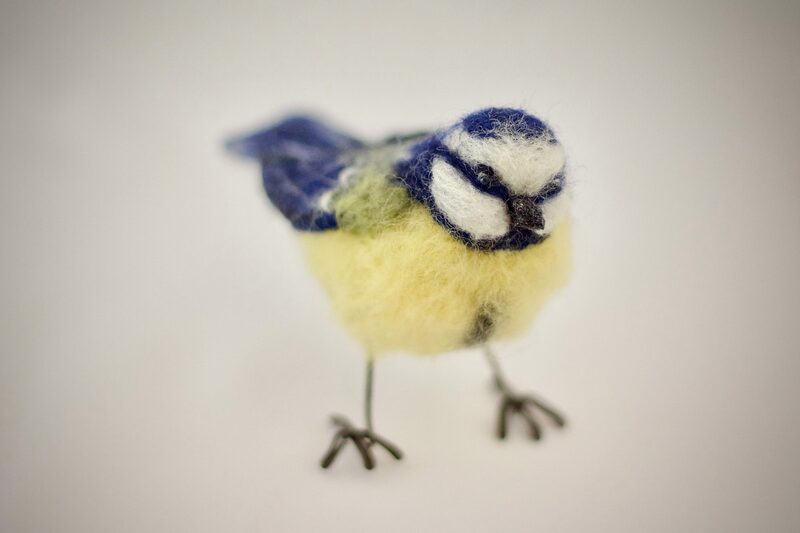 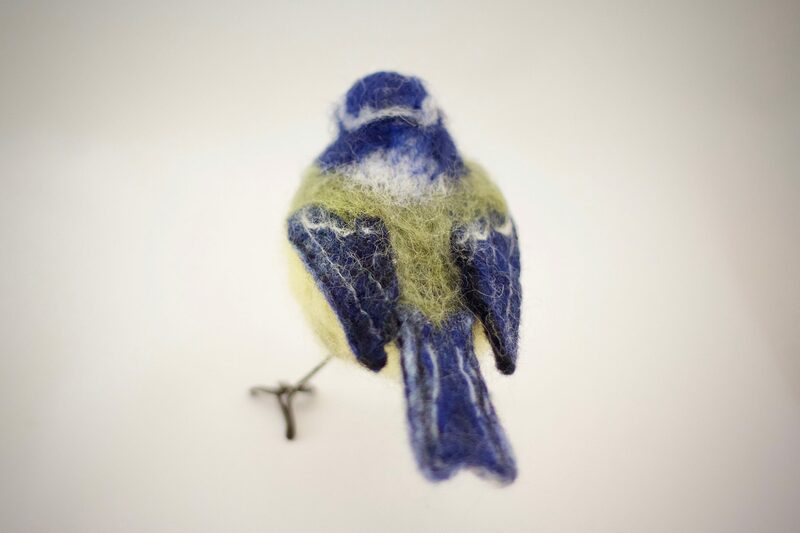 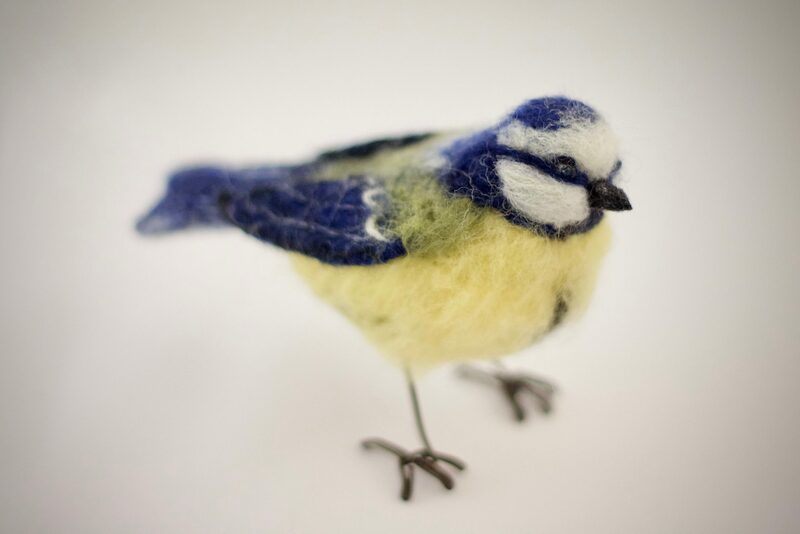 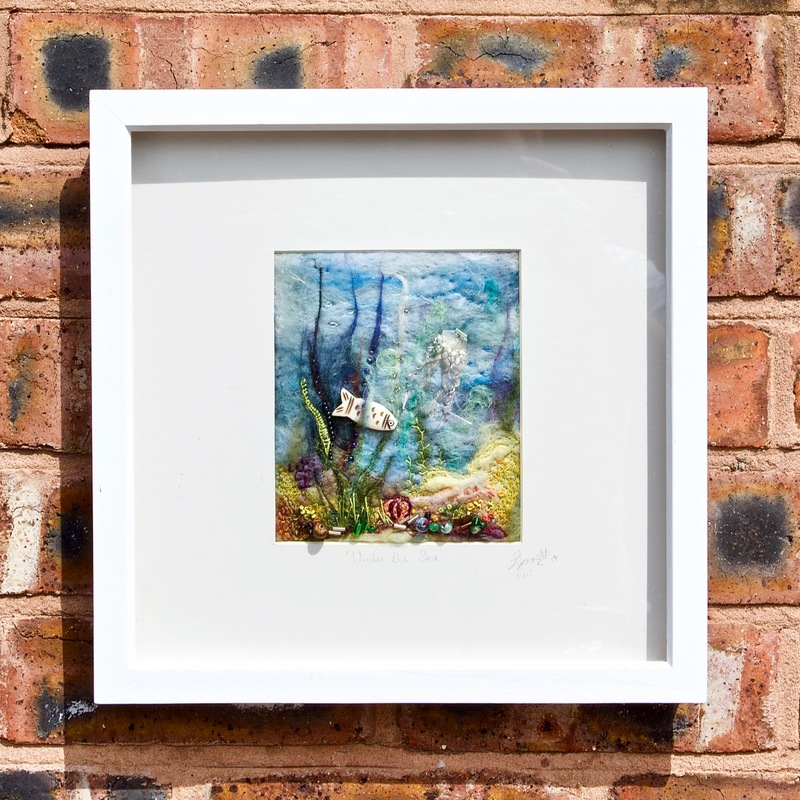 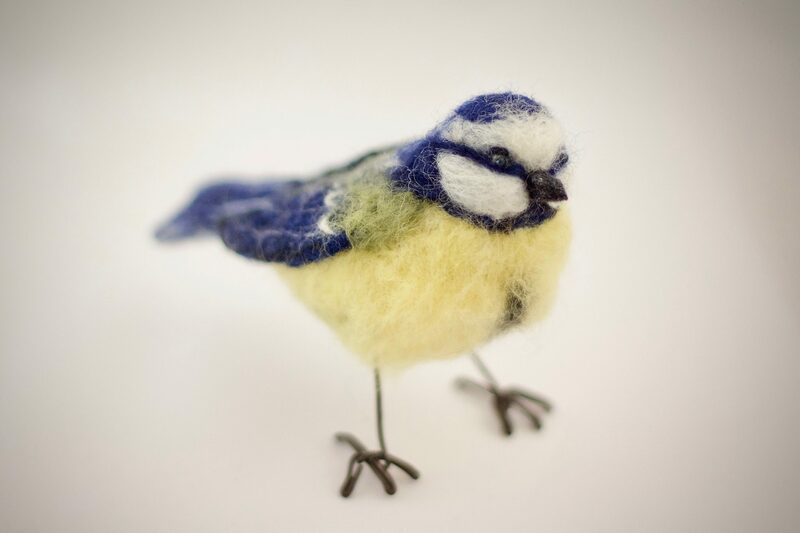 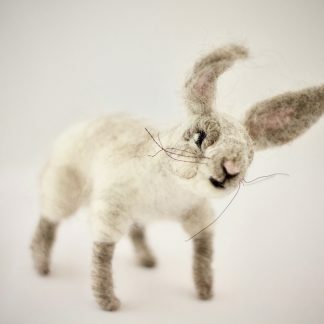 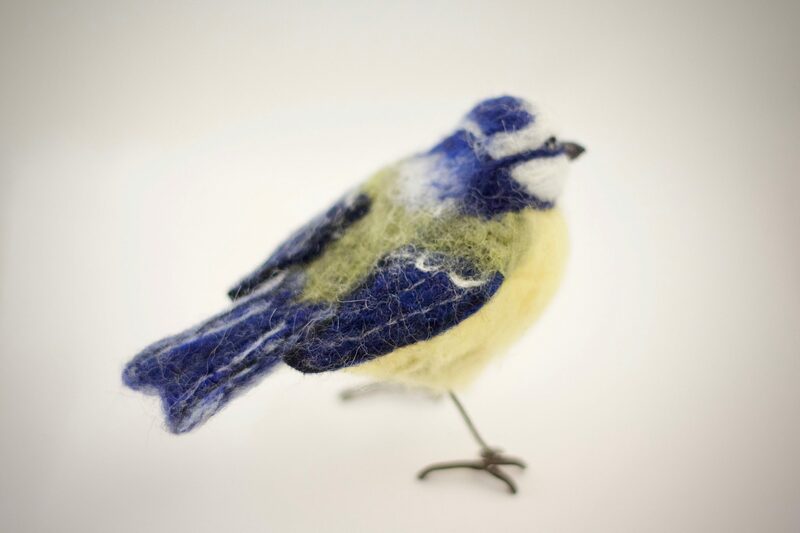 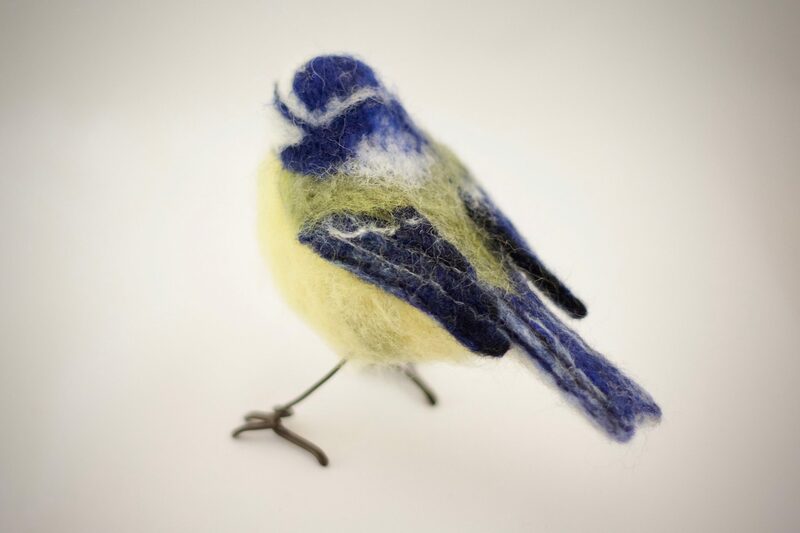 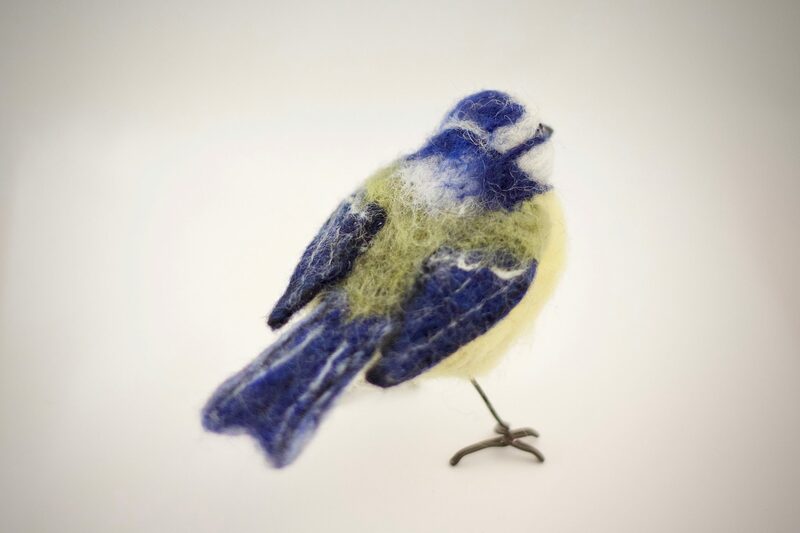 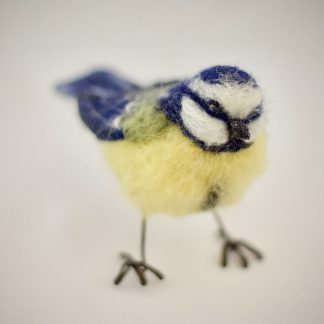 He has a lovely quizzical look in his little beaded eyes and his body is made from needle felted wool fibres. 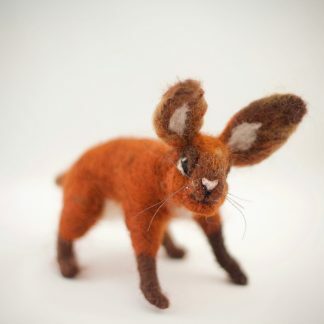 He has wire armature legs and feet which are fully posable.